Depending on the grade, jet fuel is basically highly refined kerosene. What is kerosene? It is a fuel that has been around for over a thousand years and is today consumed at a worldwide rate of 1.2 million barrels per day. People use it for heating, lighting and cooking. 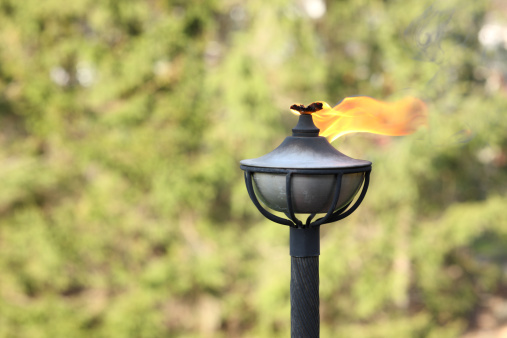 The word "kerosene" comes from the Greek "keros," which means wax, and kerosene is also known historically as paraffin. The kerosene and paraffin difference is that the paraffin is a component of kerosene, and when petroleum refining is complete, it remains as a waxy residue. The nomenclature provides a clue to the connection between them and helps clarify the relationship of kerosene to jet fuel. Petroleum, or crude oil, is the raw material for kerosene, gasoline and a host of other products. This highly viscous liquid is rich in aliphatic hydrocarbons, which are molecules that generally contain only hydrogen (H) and carbon (C), although they might also contain impurities such as sulfur (S). Hydrogen and carbon combine in chains of various lengths. The lightest of these are known as naphthas, which are gases at room temperatures, while the heavier chains are liquids or solids. Each chain has a unique boiling point, so the process of refinement consists of heating petroleum progressively to separate out components. This is the process of fractional distillation. The naphthas — methane (CH4) to heptane (C7H16) — are the first chains to vaporize, and they get used for solvents and cleaning chemicals. The chains from C8H18 (octane) through C11H24 (undecane) are next, and these become gasoline. Kerosene is manufactured from the chains that vaporize next, C12 to C15 ,while diesel fuel and solids such as paraffin wax and road tar come from heavier chains. Because it is composed of heavier chains of hydrocarbons, kerosene is less volatile than gasoline. Its higher flash point (100°F vs. -45°F for gasoline) means that it is safer to store and transport, which is of obvious importance in the aviation industry. Jet engines will burn almost any kind of fuel, so it doesn't have to be highly flammable gasoline. While not as abundant as gasoline, kerosene still constitutes a large percentage of net refinement products. According to the U.S. Energy Information Administration, a 42-gallon barrel of crude oil yields about 20 gallons of gasoline and about 16 gallons of other distillates. Of the distillates, about 4 gallons are jet fuel, while the rest are heating oil and diesel fuel. Because they contain the same classes of hydrocarbons, kerosene, jet fuel and diesel are similar products. When it comes to kerosene vs. diesel for your kerosene heater, many people report that either is suitable. They do notice a stronger odor when using diesel, which is due to the fact that it contains a wider variety of hydrocarbons. In other words, kerosene is more highly refined than diesel, which means it has been processed at a higher temperature to remove more of the volatile compounds. The same difference exists between kerosene and jet fuel, which has been refined at even higher temperatures. The company that regulates petroleum products in India, Indian Oil, identifies jet fuel as SKF, which means "superior kerosene fuel." Among the higher standards jet fuel has to meet are those for freezing point, flash point, viscosity, sulfur content and calorific value. In addition, it contains additives to help it burn more cleanly and efficiently as well as to prevent ice formation and corrosion. Jet A, which is the fuel that was widely used in Europe after World War II, is almost identical to kerosene. Its widespread use on the continent was due to the fact that it was more available than gasoline. Another grade in common use is Jet A-1. Together, these are the fuels used more commonly by commercial airliners. Jet B and JP-4 ("JP" stands for jet propulsion) are mixtures of kerosene (30 percent) and gasoline (70 percent). They include a larger concentration of the light hydrocarbons and naphthas than Jet A, so they weigh less, which is a desirable characteristic for aviation. However, they have lower flash points and are more dangerous to handle. Because they have low freezing points, they are used for military purposes in the far north. JP-5 is also known as high-flash-point kerosene. It is safer to handle than even Jet A and is required for aircraft aboard aircraft carriers as well as for presidential fleet aircraft. Its composition includes approximately 53 percent C9 to C16 liquid paraffins (hydrocarbons) with the rest made up of cycloparaffins, aromatics and olefins. JP-8 is a 100 percent kerosene blend and is an acceptable substitute for diesel fuel. It is the fuel most widely used for military aircraft, and its use is expected to continue until 2025. Unlike JP-4, which feels like a solvent to the touch, JP-8 feels somewhat thick and oily. Jet engines are powered by turbines, and kerosene-based fuels such as Jet A are suitable for them. Propeller-powered aircraft, on the other hand, have rod-and-piston engines for which a gasoline-type fuel is more suitable. These engines use avgas, which is a higher-octane version of the gasoline you put in your car (mogas). The two gasoline blends are not the same. Avgas contains various concentrations of tetraethyl lead, which is banned from use in mogas because of concerns about the toxicity of lead. 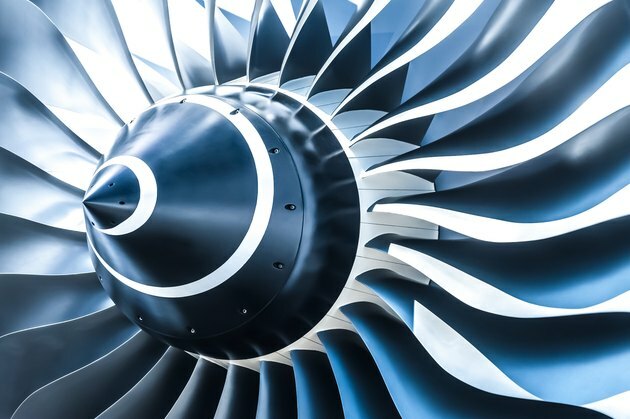 Even though it is toxic, lead is an important lubricant, and it is needed to protect sensitive engine parts in airplane engines. Apart from the inclusion of tetraethyl lead, which is being phased out, avgas is close enough to mogas to be used as a motor fuel. The converse isn't true, however, primarily because of the likely presence of ethanol in mogas, which is detrimental to airplane engines. Can You Use Jet Fuel for Heaters and Cars? You could use Jet A to power your kerosene heater or your diesel vehicle. It's a more refined version of kerosene and burns better than diesel fuel. Considering the fact that due to the high production levels it's less expensive than either kerosene or diesel, it would seem a no-brainer to use it as a substitute. The main reason you wouldn't want to use jet fuel in your diesel car is that the car's engine isn't designed for it. Jet fuels lack the lubricating characteristics of diesel fuel, but you could add lubricating chemicals. However, jet fuel also lacks the cleansing additives, and without these, your diesel engine would gum up, and you'd be forced to do frequent cleanups. Kerosene heaters are designed to run on 1-K and 2-K kerosene, the difference being that 2-K has a higher sulfur content, which means more sulfur dioxide emissions and increased residue buildup on wicks. The National Ag Safety Database cautions against using jet fuel for heaters. It burns too hot and could result in a fire or explosion.